As we mentioned in an earlier post, we are preparing a compilation of the earliest known Yiddish cylinders called Attractive Hebrews. 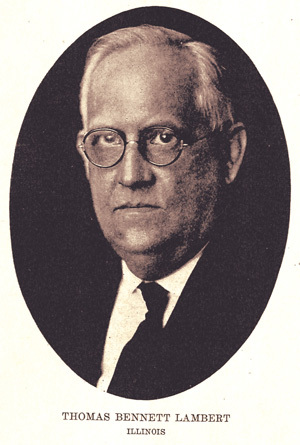 Along with our colleagues at the University of Wisconsin, we’ve been trying to find more information about Thomas Lambert, namesake of the Lambert Record Company, which made the records in the early years of the 20th century. Everyone who knows anything about the Lambert brand knows about the Yiddish cylinders, although few have seen or heard one. We were hoping to find references to them in newspapers or magazines. No luck yet. But what we have found sheds new light on the inventor, “Tom” Lambert. The biography we printed in our CD, The Pink Lambert, still appears correct, but now we’ve got some documents that help us understand Lambert’s later career and a good deal about his personality. 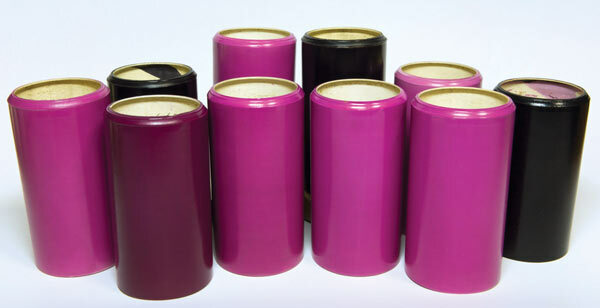 Remember those funny pink celluloid cylinders made by a man named Thomas Lambert during the first few years of the 20th century in Chicago? Our CD, The Pink Lambert, was only the second release by Archeophone, back in 1999. Well, we’re seeing pink again. A large block of Yiddish selections were among Lambert’s first releases, around 1901—titles including show tunes from Yiddish theater, operatic arias, and sacred numbers. A collection of many of these very early Lamberts was recently acquired by the Mayrent Institute for Yiddish Culture at the University of Wisconsin at Madison, and they have reached out to us to put them out on a new CD. In turn, we have asked Mayrent Director Henry Sapoznik to shepherd the project, providing translations and context for material that is foreign even to people knowledgeable about Yiddish culture. That’s because apparently these are the earliest known recordings of Yiddish music. It’s not clear why Lambert chose to market this material, but presumably he had an “in” with Chicago’s large Jewish community. One other mystery we’re trying to solve is why all the cylinders are announced “Standard Record,” instead of something like “Record made for the Lambert Company of Chicago,” which is the usual formula we hear. Has anybody out there got a clue? 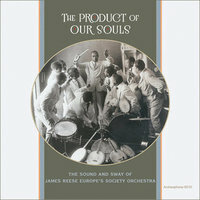 Welcome to Archeophone Records' blog of news, notes, and reflections on the acoustic era of recording.